Michael Bloomberg will endorse Hillary Clinton at Democratic National Convention, in move seen as expressing distaste for Donald Trump. Michael Bloomberg, the former Mayor of New York, will endorse Hillary Clinton for President in a prime-time address at the Democratic National Convention (DNC) starting tomorrow (Monday) in Philadelphia. Mr. Bloomberg had considered running for President himself as a third-party candidate earlier in this election cycle, ultimately choosing to stay out. He has not been a member of the Democratic party since 2000, was elected Mayor of New York as a Republican in 2002, and later became an independent. So why has he decided to so publicly endorse Democratic candidate Clinton? The answer appears to be a strong opposition to the alternative, Republican nominee Donald Trump. Mr. Bloomberg has been critical of Trump's views on immigration, mainly his suggestion that all Muslims should be banned from immigrating to the US for a time, and on the economy. Bloomberg sees Trump's intention of starting trade wars with China and Japan as misguided. When Bloomberg announced his decision not to run for President, he cited a fear that his run would take some of the moderate vote away from Clinton, paving Trump's path to power. He's even described Trump as a threat to American society. At the DNC, Mr. Bloomberg will be speaking “from the perspective of a business leader and an independent,” said Howard Wolfson, a senior adviser to Mr. Bloomberg. 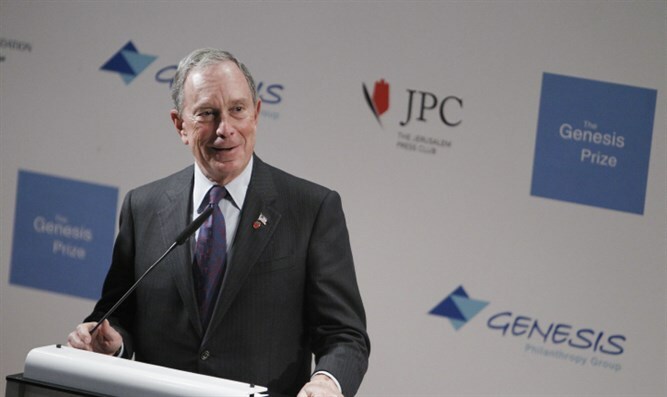 His presence at the convention and endorsement of Clinton might serve to counteract some of Mr. Trump's business acumen, as Bloomberg is a billionaire businessman himself.